Ideal location--33 acres in the heart of Bella Vista! Not in POA. Existing water well with an inexhaustible supply of "the sweetest water you'll ever find" says a previous resident. 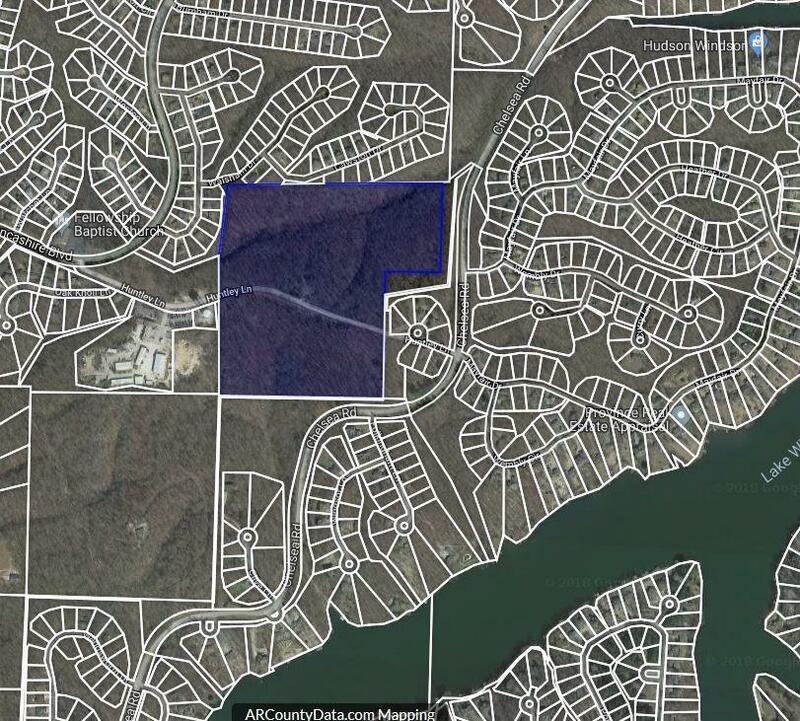 Mostly wooded with area of a former homesite cleared. New bike trail will follow along the Chelsea Rd boundary; Huntley passes through the property, giving good access. Very near Lake Windsor with a NE boundary along Chelsea Rd and the SW boundary adjoining BVPOA Water Dept. Commercial a possibility; great for 1031 Exchange.